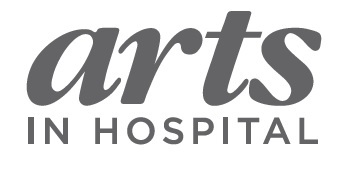 To mark the occasion a partnership was formed between Dorset County Hospital NHS Foundation Trust, Arts in Hospital at DCH, Dorset History Centre and Dorset County Museum, as well as a number of community groups and volunteers. The project was supported by a Heritage Lottery Fund ‘Sharing Heritage’ grant and a donation from the Dorset County Hospital Charity. See below for information on events during the year. 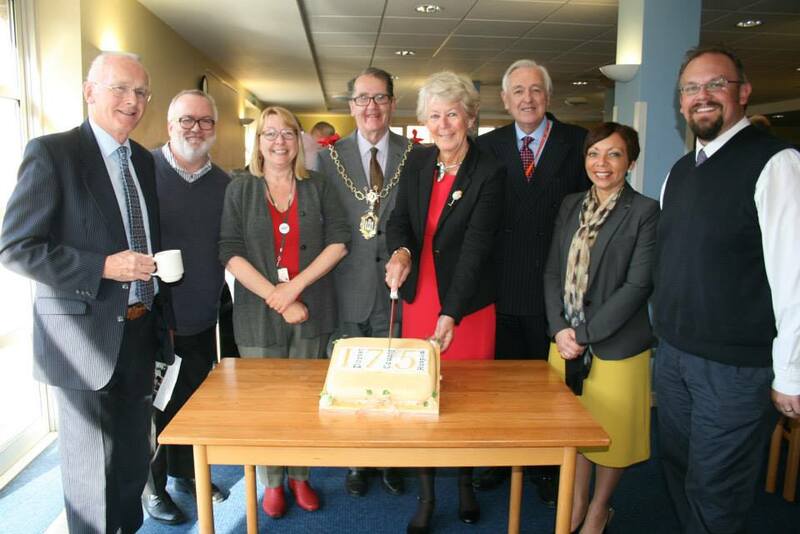 The celebrations began with a launch on 11 May in the presence of the Mayor of Dorchester Peter Mann and Deputy Lieutenant of Dorset Angela Dupont MBE. The event included a “first hand” account of a Victorian patient’s experience of their hospital stay, constructed from the hospital’s archives, and delivered by project lead Alex Murdin. During the event Peter Down, representing Dorset County Museum, presented hospital chairman Jeffrey Ellwood with a number of records in his possession, including the medical committee’s minute book covering 1936 to 1951, and a patient consent form from the 1930s. Other individuals came forward with memories and photographs which all contribute to the hospital’s history. 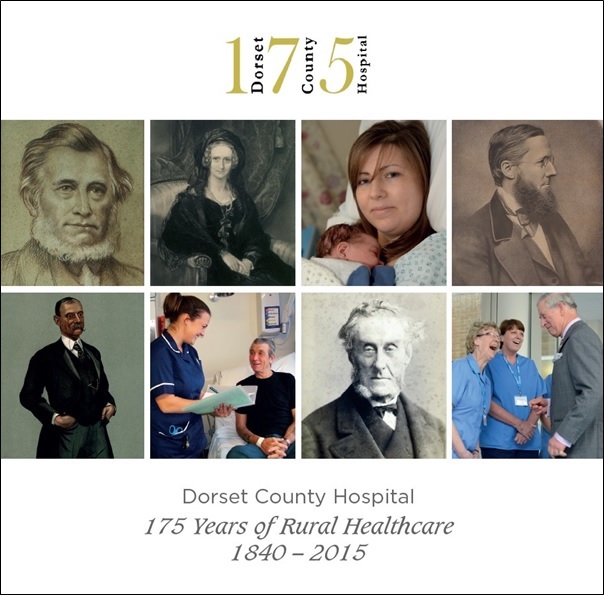 A commemorative booklet entitled Dorset County Hospital: 175 Years of Rural Healthcare was published in May 2015. The full-colour, 69-page booklet – the first history of the hospital to be published since 1901 – includes chapters on patients, staff, the hospital’s supporters and the buildings in which it was housed. As well as a broad overview of the hospital’s 175 years, the booklet tells individual stories, and gives fascinating insights into hospital life – from the stopping of the matron’s weekly beer ration in 1895, to the arrival of the first patient by air ambulance in 2000, and the hospital’s efforts to avoid running out of eggs during two world wars. The booklet can be accessed online free of charge or if you wish to own a hard copy, it costs £6.95 plus £2.50 postage and packaging (proceeds to the hospital’s charity). For a copy, please send your name and address, along with a cheque payable to “DCH Charitable Fund”, to Arts in Hospital, Dorset County Hospital, Williams Avenue, Dorchester DT1 2JY. You can also download a free name index to the booklet. An exhibition telling the hospital’s story from 1840 to 2015 was on display from May to August 2015. The exhibition took a thematic approach, looking at how people became patients, who staffed the hospital, and what hospital life was like before the introduction of the NHS. 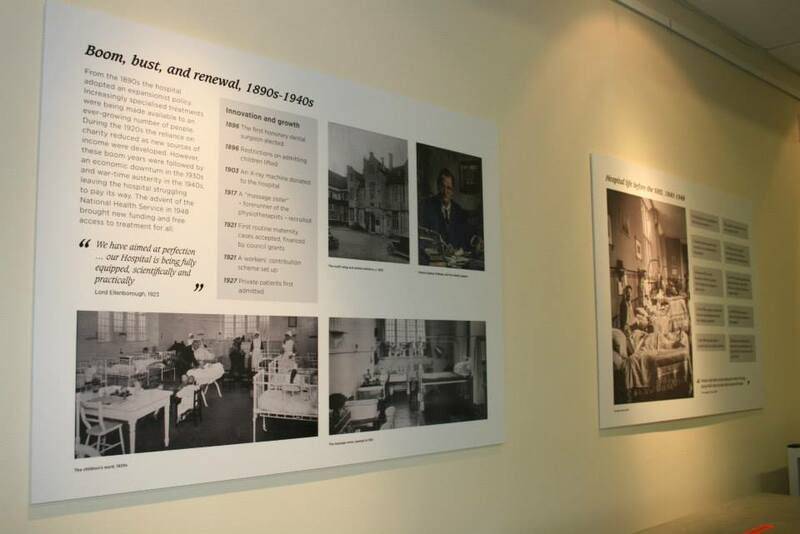 Alongside the exhibition a number of historic photographs from the hospital’s archives were put on display. You can download a copy of the ten exhibition panels here (this is a large file, which may take some time to download). An oral history project enlisted volunteers to collect patient and staff stories, including the experiences of the first person to arrive at the hospital in an air ambulance and the recollections of the 17-year-old daughter of a surgeon helping her father during operations in 1945. The ongoing project is being coordinated by Maria Gayton, community engagement officer at the Dorset History Centre, where the oral histories will be stored as part of their archive of the hospital’s history. A very entertaining anniversary concert rounded off the celebrations, on 31 March 2016. 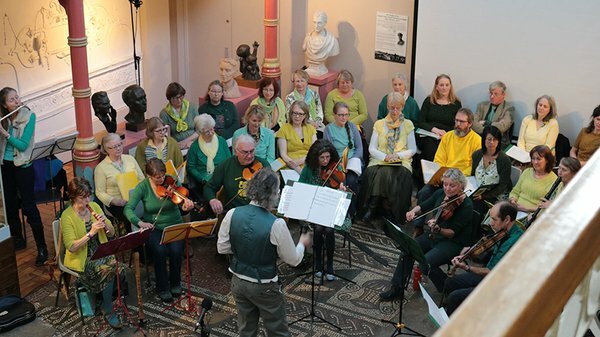 The performance, which took place in the Victorian gallery at Dorset County Museum, was led by Tim Laycock and the Ridgeway Singers, and featured traditional music, readings and a new song based on the published history of the hospital. You can listen to an online recording of the one-hour event, courtesy of Ridgeway Radio, the hospital’s radio station for patients and staff. 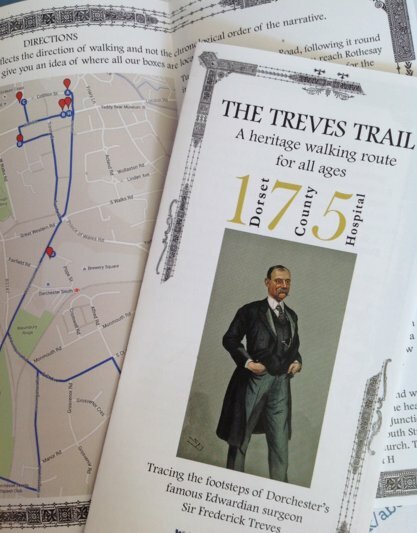 The concert also saw the launch of the Treves Trail, a new health and heritage walk for visitors and residents of Dorchester. It is based on the life and times of surgical pioneer Sir Frederick Treves (1853-1923), a native of Dorchester and a great supporter of the hospital. The walk was created by a group of Heritage Lottery Fund Young Roots “graduates” from a previous Dorset Youth Association project. Photographs for various aspects of the project were generously donated by the Dorset History Centre, Dorset County Museum, the Wellcome Library, the British Newspaper Archives, the Dorset Echo, the National Trust, St Bartholomew’s Hospital Archives, the BMJ Publishing Group Ltd and The Lancet. In addition the project team are grateful to the State Library of Western Australia, Hackney Museum and the RIBA Library Photographs Collection for permission to use their images, and they are grateful to photographer Judith Jones (www.judithjonesphoto.com) for kindly donating her photographs.